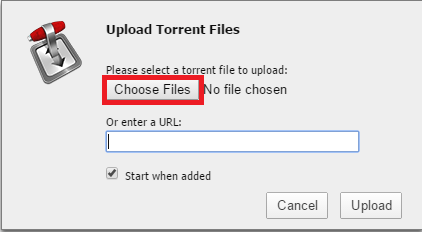 This guide shows how to force Transmission Bittorrent client to use a VPN while retaining remote access to its WebUI (user interface) so you can access and manage your torrents outside your home network. You will need to know your network’s IP information and have the machine use a static IP or reserved DHCP so it always has the same IP address. For remotely accessing transmission using dynamic DNS you can use this guide for the Raspberry Pi so you get an easy to remember URL like http://htpcguides.crabdance.com:9091 for remote management of your torrents. That guide should work for other Debian based distros like Ubuntu. For this guide I am using PIA VPN which costs $3.33 per month (annually billed), they keep no logs and take many different anonymous payment methods. You can use Ubuntu, Lubuntu or any Debian based distro and it will work, regardless of the device or CPU architecture being used. Consider reading Comparing Usenet vs Torrents – Which is Better? Note: This guide was tested on Raspbian and Debian, it did not work on Raspbmc, if you do manage to alter the scripts so it works on Raspbmc please let me know in the comments. Updated January 8, 2016 to resolve port forwarding issues. 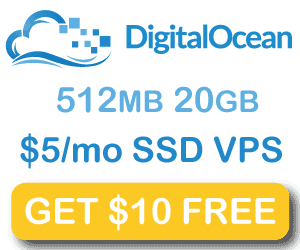 Disclaimer: This guide manipulates your IP tables so you are strongly urged to back up first! I will walk you through installing OpenVPN, downloading the PIA OpenVPN configuration files and configuring automatically logging in to the VPN service. Then you will create some scripts. You should make sure you have remote access to transmission already first (found here). I am assuming you are running the default transmission-daemon init.d scripts as they are installed by default. If you are using an upstart script you will have to change any instances of sudo service transmission-daemon to sudo service transmission if you followed my transmission guide for the Raspberry Pi. Regardless you will need transmission-daemon installed on the machine before you attempt this guide. You must also set port forwarding up in your router for port 9091 to the torrent client machine and disable the whitelist by setting rpc-whitelist-enabled to false. The first script runs OpenVPN and tells it which configuration file you specify, calls an up script after the VPN is connected and a down script to run if OpenVPN stops. The up script modifies the IP address transmission binds to in the settings.json file so it uses the Private Internet Access tun0 adapter’s IP address. It also changes the IP tables so you can still remotely access transmission. If you used my Transmission guide for Raspberry Pi or are using any upstart script and not the init.d script you should change your start on line in the upstart script (thanks Peter) for maximum safety. Adding this line ensures the Transmission service does not start until the VPN interface is up. 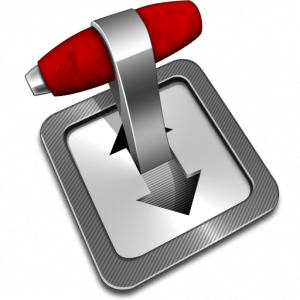 Download the Private Internet Access openvpn configuration files (extension .ovpn), if you are using a different provider you will have to get the OpenVPN configuration files specific to your provider. Note: If you used my transmission guide for the Raspberry or are using the upstart script, replace all instances of transmission-daemon in the torrentvpn.sh and torrentvpnstop.sh with just transmission instead for starting, stopping and restarting services. 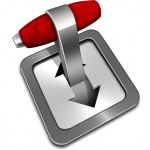 Disable the transmission-daemon – this prevents it from automatically starting on boot. You will be starting it through OpenVPN instead. Paste the code below, be mindful of the following changes you may have to make, the command ip address can inform you about your IP information. Make sure you are using a static IP on your home machine or reserved DHCP also known as static DHCP. If you are on RaspBMC remove sudo from the echo lines and the ip lines. Disclaimer: Several users have issues with upstart breaking their system so it is not bootable, you should back up if you care about the integrity of your system! Install upstart if you understand the risks you can lose SSH and other issues, use the manual method instead! Test that the sequence is working, it runs openvpn with the server you chose (here Sweden), uses the configuration file we made with the login credentials for the VPN, tells it to run the torrentvpn.sh after it has started and run the torrentvpnstop.sh if OpenVPN goes down. Now reboot if you want it all to start remotely. 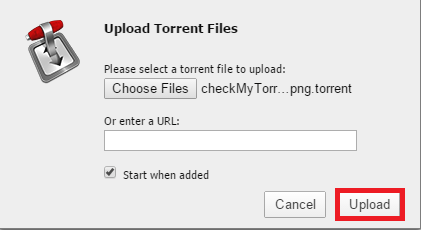 Click Choose Files and browse the the checkmytorrent. 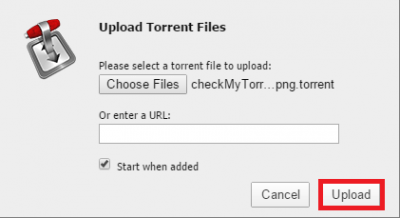 Now you are all set to torrent safely to avoid those legal notices while still being able to remotely access and manage transmission for your torrents. Unfortunately you will have to reboot the system if something goes wrong with the VPN, this is because the ip rule and tables are added using the script and they cannot be re-added in the up script so it fails. If you have useful tweaks to the scripts or made it work on another system, let me know in the comments below.